The natural Cotton and Silk fabric and pure vegetable colors add a unique luster to this traditional saree. 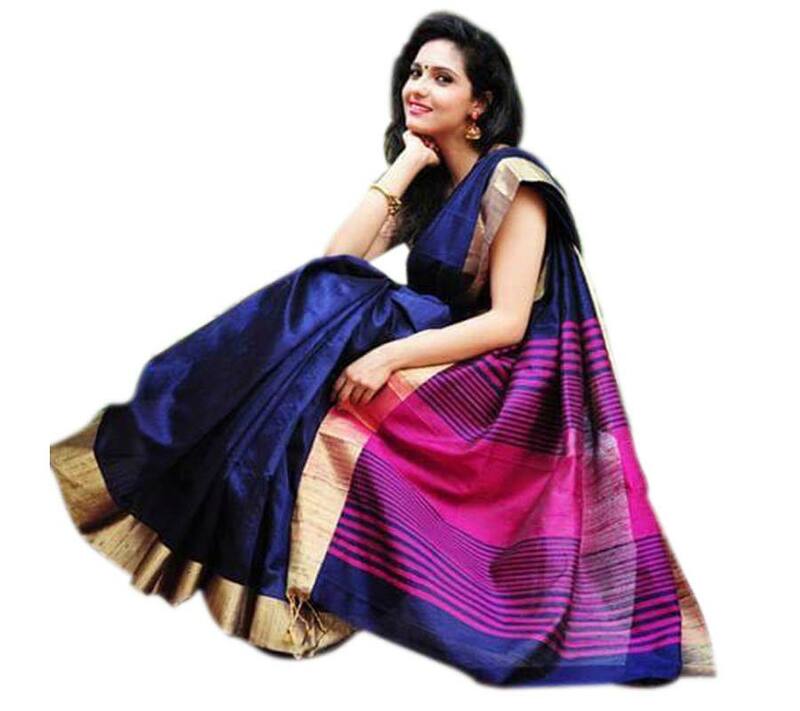 This elegant Navy blue colored saree has beautiful matching Golden border with designer pallu. Ideal for casual and semi formal occasions in your life.